Unique high-quality and high-touch design and construction projects rooted in traditional old-world craftsman knowledge combined with modern day technologies and deep technical experience. Charis Homes is a top rated, award winning builder based in Summit County, OH established by Todd Scott and Glenna Wilson in 2003. Our focus is on providing a quieter, healthier home for you and your family that is durable, more valuable and gentler on the environment from the ground up. We strive to add or upgrade products that will increase the energy efficiency of our homes. Not only can we obtain “ENERGY STAR Compliance“, but we can far exceed those requirements by now meeting the Department of Energy Zero Energy Ready Home requirements. With the use of ENERGY STAR appliances, high efficiency windows, house wraps, door and window sealings, increased ceiling insulation and ICF walls, we can achieve certified energy savings of 71%. When most builders only build for look and finish, we pride ourselves on putting the best products in place. This means we usually spend more for what is behind the wall to achieve a higher value for our home buyers. The appearance may be similar, but don’t be fooled. The quality is quite different. As energy bills continue to skyrocket with no end in sight, the payback on this attention to detail is significant. Robert Maschke, FAIA established robert maschke ARCHITECTS in 1997 with the belief that a regional practice based in Cleveland, Ohio could contribute to global architectural culture. The recipient of many awards, including the 2012 AIA Ohio Gold Medal Firm Award, National Honors from the American Institute of Architects, and the 2011 Cleveland Arts Prize for Design, Maschke has been widely published nationally and internationally. Robert is committed to advancing Architecture beyond his community, contributing dynamic and noteworthy designs to the built environment. His work challenges the cliché that Architecture must be expensive and exclusive, instead proposing that contemporary architectural practice must embrace resourcefulness to maintain relevance. Fundamental to Robert’s leadership is his architectural philosophy that infuses each project with a design sensitivity and quality that permeates the work. Lee Meier Interiors provides its design services by listening to our clients' aspirations to develop dynamic, functional spaces. Our designers bring experience, creativity and integrity to each project, and our services are adapted to fit the scope of the project. By getting involved as early as possible in the architectural planning or construction process, interior design elements can be considered in collaboration with the architect or contractor. Lee Meier Interiors extensive experience in helping clients choose construction materials and finishes for new and remodeled homes has resulted in unique designs that reflect individual personalities. This approach allows for the most innovative and imaginative opportunities. 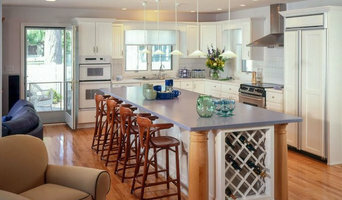 Chen Gallagher interior design firm is an upscale interior design studio in Los Angeles California and Cleveland Ohio. Specializing in creating tailored custom residential and commercial spaces. Asked how she likes to define her work, Catherine Chen Gallagher will answer that she takes a walk through a client's path. Her design reflects a complete sense of balance, refinement and observation. For the past decade, she has fostered a simplicity-driven design principle with a sophisticated edge. Melding traditional style with modern contemporary sensibility. To accomplish a client's vision, every detail is considered and planned down to the last finish. Catherine seeks to integrate her client's unique needs with her extensive knowledge of design history and deep relationships within the industry. Catherine as a child was surrounded with creativity. Her mother is an accomplished artist, jewelry designer and antique dealer and remains her most vibrant mentor. Catherine’s lifetime of exposure to high style has influenced her sensibilities, which strives for elegance and an appreciation of the finest details. Prior to founding Chen Gallagher Design, Catherine graduated from UCLA Architecture /Interior Design Program, then worked extensively with top design development firms in Los Angeles.